40 down-to-earth ideas for inspired garden crafts, including containers, handmade gifts, outdoor lighting, holiday decorations, and more. Blending the pleasures of gardening with the joys of crafting, Garden Made showcases over forty projects to adorn your garden, beautify your home, or give as gifts. Following the natural cycle of the garden in all its seasons—yes, even winter!—these garden-inspired projects, made by hand and finished with finesse, are the perfect way to express your love of the garden in fresh ways. 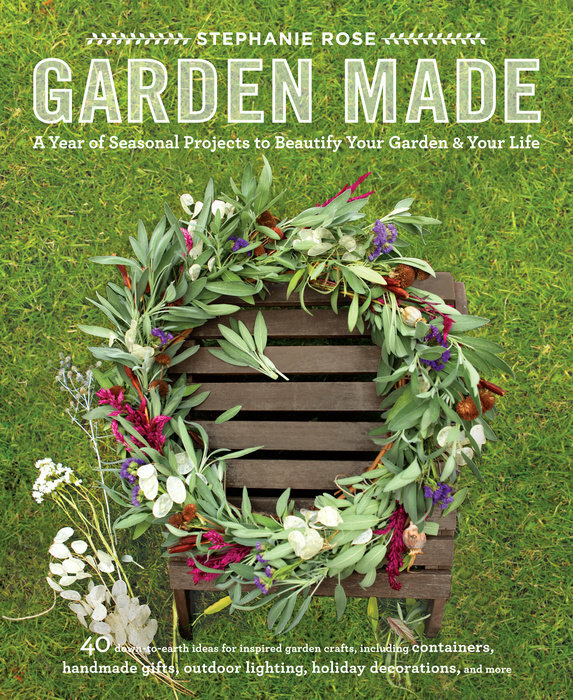 With full step-by-step instructions, as well as gardening tips and advice, Garden Made will inspire seasoned and novice gardeners, and everyone in between.